Interested in MOPS or MOMSnext? Next Meeting | Tuesday, February 19 , at 9:15a. 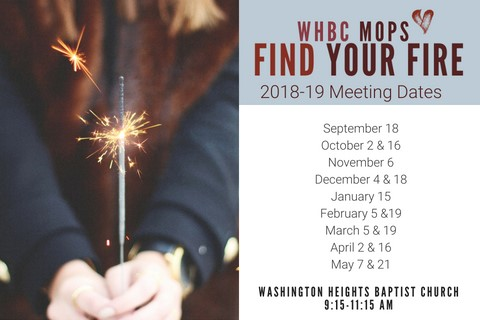 NEW AT WHBC THIS YEAR! CLICK HERE for more information about MOPS and MOMSnext.